The 2018-19 UEFA Champions League group stage begins this week, with a significant number of marquee matches on the schedule. Whether it’s Paris Saint-Germain against Liverpool or Valencia verus Juventus, there are a few games that are too close to call. Therefore, a few individuals will be expected to make the difference for their respective sides. With that in mind, here are six individual matchups to watch for on Matchday 1. Few players have enjoyed as rapid of an ascension as Liverpool left fullback Andy Robertson. Even though Robertson was inexperienced on the big stage, he shined against some of Europe’s elite in the Champions League last season. He was even named Scotland captain for the start of the UEFA Nations League. Andy Robertson is such an excellent appointment as Scotland captain. Represents this young, exciting and ambitious generation perfectly. Now he has another test in the form of Kylian Mbappe. Anybody who watched Mbappe at the World Cup knows about his pace, dribbling and general dynamism. Robertson is a highly energetic player, but he loves to bomb forward. The Scottish international might have to be a little more careful knowing the young Frenchman can exploit any open space. Both AS Monaco and Atletico Madrid have started slowly in their respective domestic campaigns. A win for either club could kick start their season. 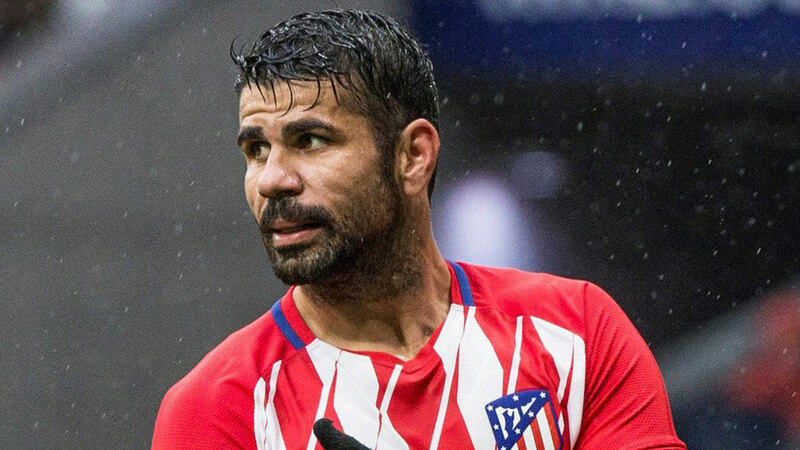 No battle will be more intriguing to watch than Monaco centre-back Kamil Glik going toe-to-toe with Atletico’s rambunctious and unorthodox Diego Costa. Neither player has particularly impressed in the early stages of the new season, so the winner of this individual tussle might determine the outcome of the game. One of Tottenham’s issues in its past two Premier League matches has been a lack of creativity in the final third. While Dele Alli shined in last season’s Champions League group stage, it’s Christian Eriksen who’ll be the key player for Spurs against Inter. Marcelo Brozovic will be tasked with monitoring the Danish international. Brozovic is an excellent orchestrator in the heart of midfield, but his defensive traits are equally important. His ability to break up oncoming attacks was crucial for Croatia during their run to the World Cup final. With Real Madrid’s midfield trio of Casemiro, Luka Modric and Toni Kroos, Steven N’Zonzi can offer a calming presence in the heart of Roma’s midfield. He’ll be able to dictate the tempo of the match, help Roma bypass Madrid and unlock the defence. 28. Steven N'Zonzi vs. Manchester United. Madrid’s midfield is daunting, with Modric serving as one of the club’s most important players. Whoever can grab control of this match will surely have a say in who emerges victorious at the Santiago Bernabeu. "Modric is the Iniesta of eight years ago in South Africa – he dignifies football"
Another midfield battle featuring a Spanish and Italian club is equally salivating. Miralem Pjanic was sorely missed in Juventus’ 2-1 win over Sassuolo on the weekend, even though the Italian champions eventually clinched the victory. With Geoffrey Kondogbia likely missing this match due to an ankle injury, Dani Parejo will probably be saddled with more responsibility in possession. Kondogbia is more of a deep-lying midfielder, whereas Parejo is a box-to-box player. Therefore, the Spaniard might have to be more cautious due to Pjanic’s ability to bypass the opposing midfield and defence. If it wasn’t for an issue with a medical exam, Nabil Fekir would’ve been a Liverpool player this summer. Instead, he stayed at Lyon and will try to help his side topple Manchester City. Manchester City manager Pep Guardiola tends to spring some surprises when it comes to team selection. However, Fernandinho – or Ilkay Gundogan – will have to pay close attention to Fekir, who is a technically gifted playmaker with a strong eye for goal.